On Sunday, August 19, 2018, the Joe Andruzzi Foundation’s Team JAF runners took strides against cancer at the New Balance Falmouth Road Race for the seventh straight year. In total, 64 runners enjoyed a day of fun and laughter, running the scenic seven-mile course in impressive fashion — all in support of New England cancer patients and their families. 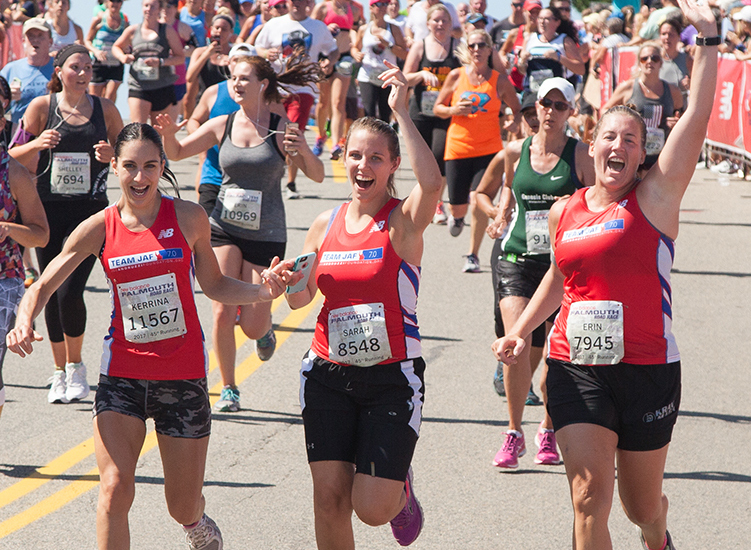 Check out the JAF blog for a full recap of our 2018 Falmouth Road Race journey. While the race may be over, you can still make a donation towards the team or an individual runner through Friday, September 14, 2018, by clicking the button below or scrolling down to select a specific runner’s name. Does your company offer a matching gift program for employees who support charities? Click here to search if your employer is a participating company.